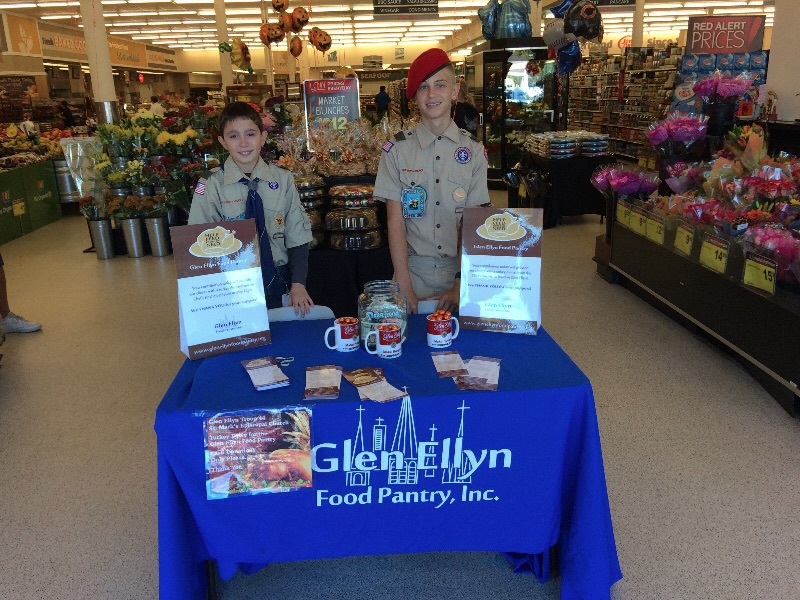 St. Mark’s Boy Scouts Troup 44 helps with the Glen Ellyn Food Pantry Thanksgiving Appeal Turkey Drive at Jewel on Roosevelt to raise money for over 550 families for a Turkey Dinner on Thanksgiving. 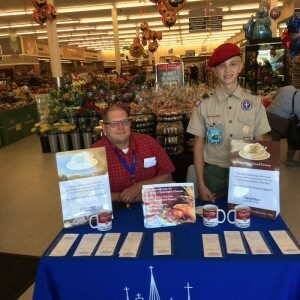 The Scouts were able to connect with the customers of Jewel and raise approximately $1,040.00 for the food drive over the weekend of October 12th. St Mark’s Scouts and Leaders who gave up their time for the needy were David Felsenthal, Debora Felsenthal, Ian Marshall, Kathy Marshall, Rob Marshall, Simon Mstowski , Mitch Mstowski, Nolan Burke, Sam Nelson, Aileen Burke, Kathy Nelson, Nathan Blaim, Dody Hospes, Will Robinson and Ruth Hospes. 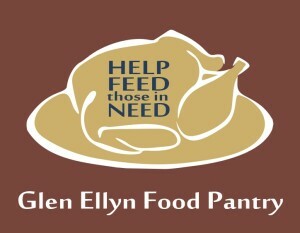 Glen Ellyn Food Pantry needs your help to distribute 550 Thanksgiving Food Boxes to our hungry neighbors this year. Your tax-deductible donation of $50 will provide a 12-14 pound turkey, a box of non-perishable food and perishable food items (milk, cheese, yogurt, eggs) for a local family in need. Any contribution is welcome. Without our generous donors, we would not be able to feed those in need. We thank you for your support! 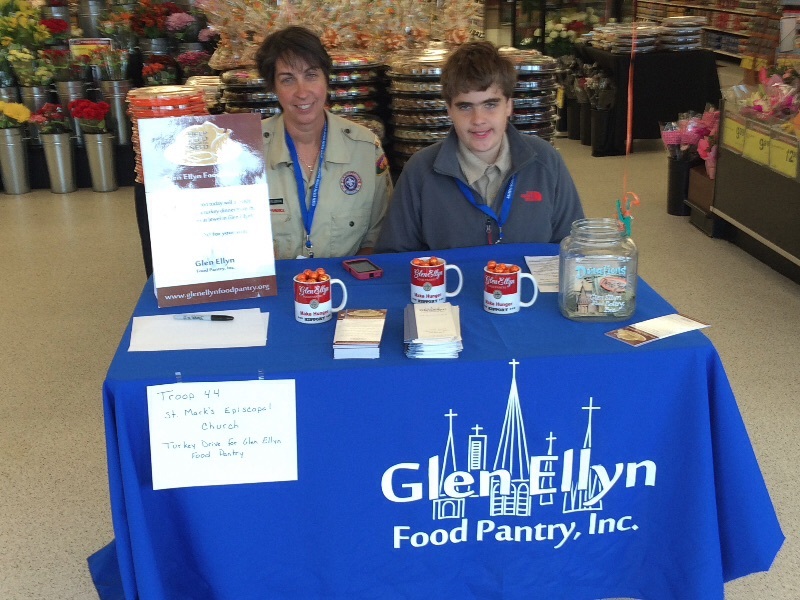 Please make checks payable to Glen Ellyn Food Pantry, and mail to 493 Forest Ave. Glen Ellyn, IL 60137. 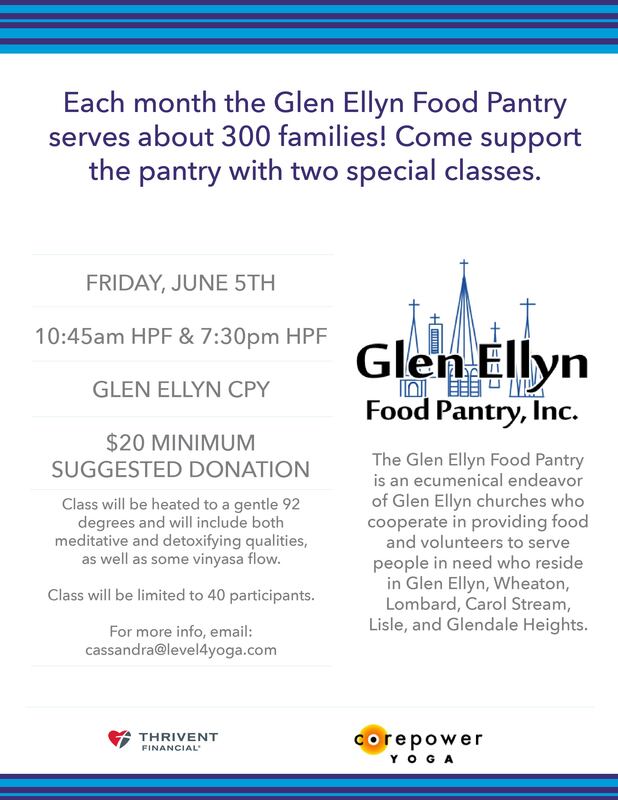 Friday, June 5th, 2015, 10:45 am &7:30 pm HPF, Glen Ellyn Corepower Yoga, $20 minimum suggested donation. Class will be heated to a gentle 92 degrees and will include both meditative and detoxifying qualities, as well as some vinyasa flow. Class will be limited to 40 participants. For more info, email cassandra@level4yoga.com. A Celebration of Tables, an annual community and charity event hosted by Glen Ellyn Newcomers Club, celebrates the club’s 60+ year history of hospitality. This unique event showcases 20 themed tablescapes, styled by Newcomers members, to celebrate hospitality and the joy of entertaining. Tickets available online and in downtown Glen Ellyn during March 2015. This event will benefit the Glen Ellyn Food Pantry. When you do your Holiday shopping at AmazonSmile, Amazon donates 0.5% of the purchase price to Glen Ellyn Food Pantry Inc. Bookmark the link http://smile.amazon.com/ch/36-3423123 and support us every time you shop. 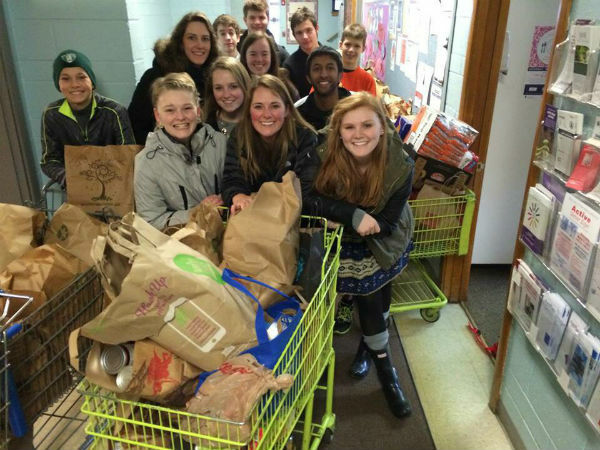 Glenbard West conducted a food drive and collected enough food to fill 10 shopping carts. West’s Student Council hosted this school-wide event where each 8th period class collected canned goods for several weeks. The food was donated to the Glen Ellyn Food Pantry.